We’re happy to say, we’ve added some new features to the GreenDrop website. We included a new RSS feed from the Green Sports Alliance to help you keep up with sustainable and environmental news within the world of sports. 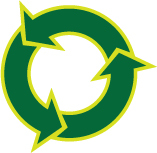 We’ve added a News Blog for articles exclusive to the GreenDrop Recycling Stations. From time to time we will post blogs pertaining to features and press about the unique composting and recycling stations. You can also sign up for our Newsletter at the Pacific Cascade subscription page. Just choose the GreenDrop News list. Hope you like the improvements. Contact us with your Comments if you’d like.